You will love this home! Absolutely charming property in coveted Laguna West. 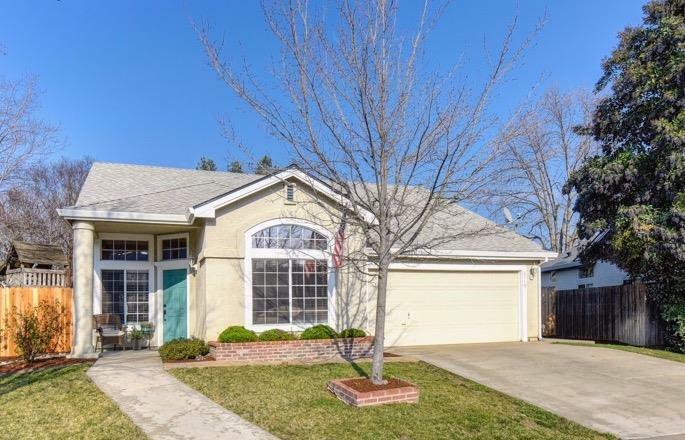 Sunny and bright and ready for move-in, this home is set on a huge park-like lot. Lovingly cared for with hardwood floors, designer paint colors, open spacious floor plan with high ceilings. Pool size yard boasts covered patio area for extended living and entertaining. Don't miss the side yard with raised planter beds and play area. Master suite has access to rear yard and patio for morning coffee and outdoor enjoyment! Close proximity to schools, parks and aquatic complex. This home will not disappoint the most discriminating buyers. One year old, 40 year roof with new gutters.